due to a number of real world factors. Image courtesy General Rubber Corp. Piping systems of any size require consideration of stresses placed upon the system by movement resulting from a number of possible factors. In some cases, the movement is vibratory and related to the operation of connected machinery. Another common case is the expansion and contraction of piping sections due to thermal effects. 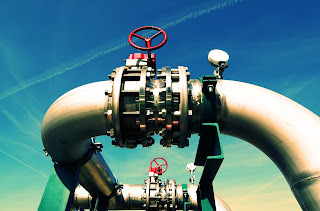 Process piping can have substantial stress applied due to thermal expansion of the piping material itself. 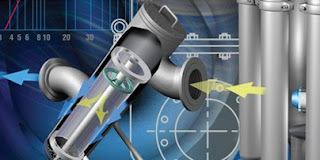 This is especially evident when portions of the process piping are fixed in position by their mounting method. Allowances must be made for expansion of the piping material in the installed location. The design criteria will include factors that impact the expansion of the piping components, as well as the relationships between the piping and elements of their supporting structures. Expansion can produce substantial movement of pipe sections which must be accommodated by the supports and the piping itself. One manufacturer, General Rubber Corp., manufactures a wide range of expansion joints for process piping systems of almost any size. Their expertise, acquired over many years in the field, is reflected in the numerous product variants available to meet every application condition. 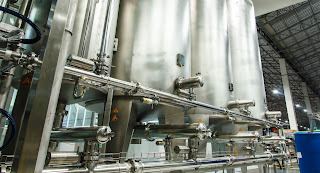 Share your process piping challenges with product specialsts, leveraging your own knowledge and experience with their product application expertise to develop effective solutions. 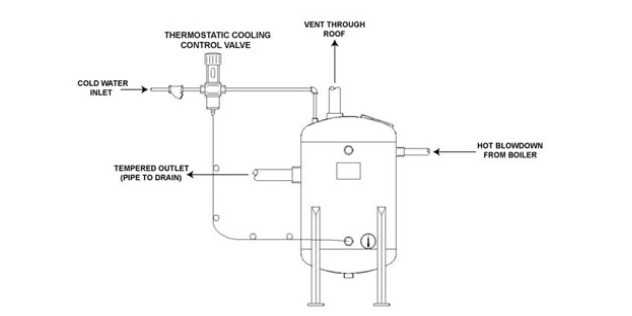 Schematic for applying blowdown tank in steam system. Blowdown, in a steam system, serves as a means to remove condensate or reduce the accumulation of minerals and contaminants in a boiler. The temperature and pressure of the effluent precludes its discharge into most municipal sewers, requiring a means to collect the discharge and reduce its temperature prior to final disposal. A blowdown tank is designed as a receiver which vents flash steam to atmosphere and provides for cooling of the condensate prior to final discharge. A vent connection at the top of the tank is normally routed to a safe discharge location outdoors. 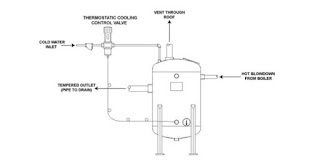 In some cases, a condenser may be applied to the vented steam. The condensate collects in the tank and cools as heat is radiated from the tank walls, generally steel or stainless steel. Faster cooling can be accomplished with the incorporation of a thermostatic cooling valve that mixes cold water with the condensate. The blowdown tanks have no moving parts and few requirements for maintenance. Good practice calls for periodic inspection for wall erosion and corrosion. An inspection hatch provides access to the tank interior. Share your steam system requirements and challenges with specialists, leveraging your own knowledge and experience with their product application expertise to develop effective solutions. Wika, globally recognized leader and innovator in the design and manufacture of pressure and temperature gauges, provides an enormous number of variants and models of its basic pressure gauge. Many of the gauges are targeted at specific applications, and incorporate a range of design and operational features to accommodate the needs of those applications. 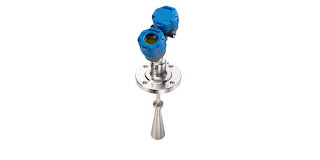 The Cryo Gauge is designed to provide indication of the level of liquid in liquefied gas tanks, but can also serve in some other related applications. 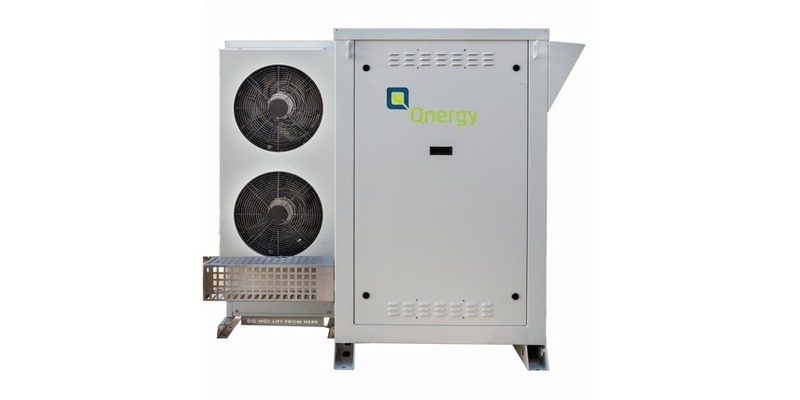 For cryo tank applications, several available measuring cells provide operating ranges that cover the most commonly used tank sizes and gas types. 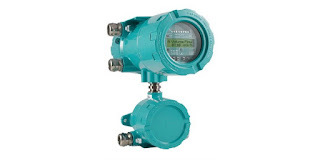 An optional manifold with a separate pressure gauge provides connectivity and an indication of working pressure, all in one compact station. Options for analog output, level switches, and remote data transfer are part of the flexible configuration. 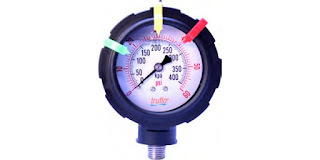 More detail on the Cryo Gauge is provided in the datasheet included below. Whatever the application, share your pressure measurement challenges with process measurement experts, leveraging your own knowledge and experience with their product application expertise to develop effective solutions. Several versions of vacuum chamber feedthrough fittings. Image courtesy of Spectite, Inc. 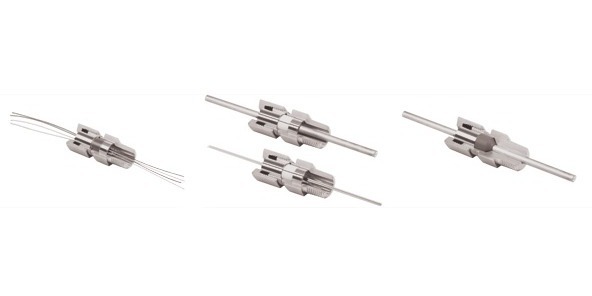 The passage of sensor tubes, electrical conductors, or similar items through the wall of a pressure vessel requires the use of a special fitting that accommodates the physical passage through the vessel wall without compromising the vessel performance. 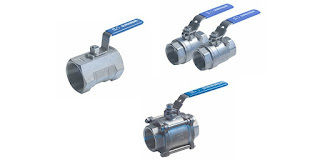 The provision of the right connectors, mounting fitting, and sealant assure simple and effective installation of the feedthrough fitting. 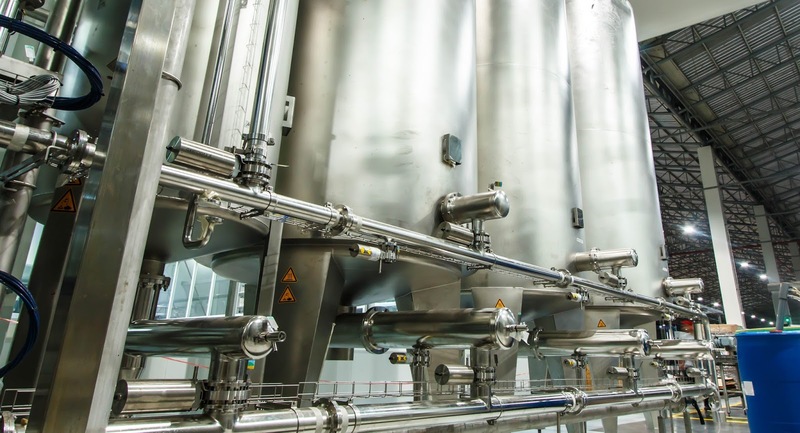 Vacuum and pressure feedthroughs are an important part of the physical signal path and the vessel barrier wall, maintaining the integrity of the vessel or chamber containment while facilitating the passage or placement of power, sensors, or other items. There are countless applications for feedthroughs, resulting in a broad offering of body styles, sealants, connections, and customized arrangements to meet any challenge. Spectite manufactures a broad range of vacuum and pressure feedthroughs, any of which can be customized to meet an application challenge. Share your project requirements with a product specialist, leveraging your own process knowledge and experience with their product application expertise to develop an effective solution. 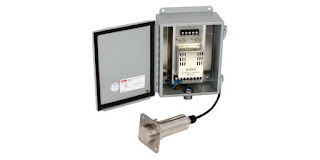 Electronic pressure switch in NEMA 4 enclosure. 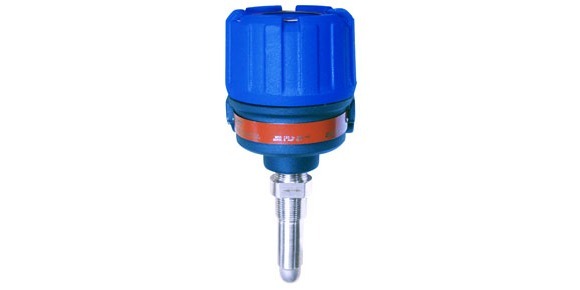 A pressure switch is a device that detects and responds to fluid pressure. 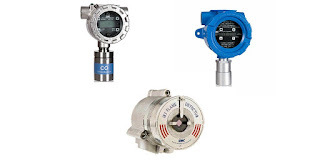 Pressure switches use a variety of sensing elements such as diaphragms, bellows, bourdon tubes, pistons or electronic sensors. 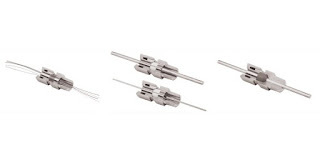 In all but the electronic sensor versions, the movement of the sensing element, caused by pressure fluctuation, is transferred to a set of electrical contacts to open or close a circuit. 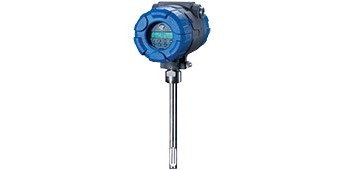 Electronic pressure switches utilize a sensor signal and circuitry to control switch activation. The normal status of a switch is the resting state with stimulation. A pressure switch will be in its normal state when low or minimum pressure is applied. For a pressure switch, normal status is any fluid pressure below the trip threshold of the switch. One of the earliest and most common designs of pressure switch was the bourdon tube pressure sensor with a mercury switch. When pressure is applied, the bourdon tube flexes enough to tilt the glass bulb of the mercury switch so that the mercury flows over the electrical contacts, thus completing the circuit. the glass bulb tilts far enough to cause the mercury to fall against a pair of electrodes, thus completing an electrical circuit. Many of these pressure switches were sold on steam boilers. While they became a de facto standard, they were sensitive to vibration and breakage of the mercury bulb. One of the criteria of any pressure switch is the deadband or (reset pressure differential). This setting determines the amount of pressure change required to re-set the switch to its normal state after it has tripped. 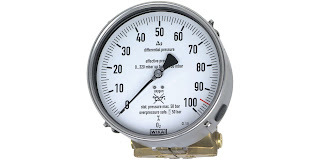 The differential pressure setting of a pressure switch should not to be confused with a differential pressure switch, which actually operates on the difference in pressure between two separate pressure input ports. Electronic pressure switches provide some features which generally are considered advantageous to mechanical designs. No mechanical linkage between sensing element and switch, all electronic. High cycle rates are possible. High levels of accuracy and repeatability. Some models have additional features, analog output, digital display, auxiliary switches, and more. 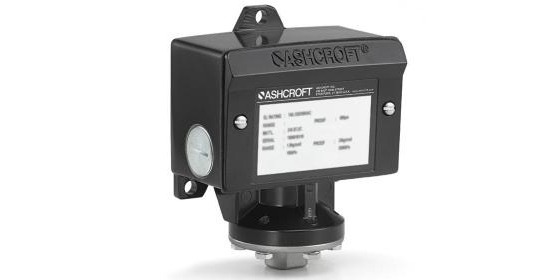 When selecting pressure switches you must consider the electrical requirements (volts, amps, AC or DC), the area classification (hazardous, non-hazardous, general purpose, water-tight), pressure sensing range, body materials that will be exposed to ambient contaminants, and wetted materials. Whatever your pressure measurement application, share your challenges with a fluid measurement and control specialist, combining your own knowledge and experience with their product application expertise to develop effective solutions. Processing equipment in many facilities involves moving materials along a conveyance system from one point to another. Continuous processing requires that the conveyance machinery keeps moving materials through the process. Monitoring movement at selected points along the conveyance can provide immediate notification when machine motion stops. One motion monitoring unit from Ronan Engineering has been in the market for many years, evidence of its durability and reliability for detecting loss of motion. The X25 has a very simple operating principle. A detector head is located adjacent to a rotating shaft, spoke wheel, screw conveyor, bucket elevator, or other moving part of the equipment. It functions as a pickup with an output signal corresponding to movement of the target. A remotely located housing contains the signal processor with adjustable sensitivity and time interval controls, as well as output relays for signaling loss of movement in the targeted area. 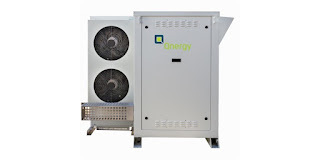 There are a number of adaptations that can be made for installations subject to low rotational speed, high temperature, and other special conditions. The device is simple, rugged, and reliable. 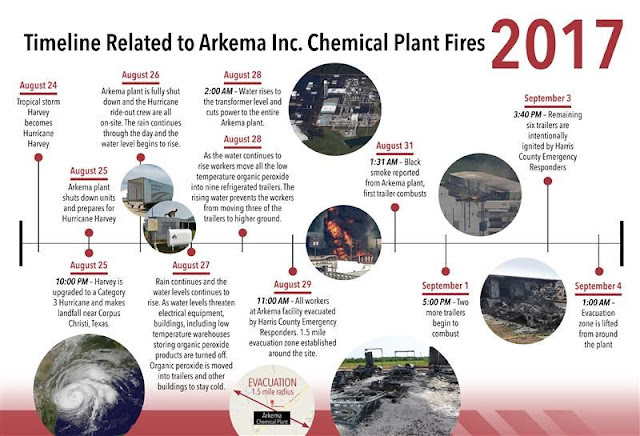 More detail is provided in the data sheet included below. Share your potential applications with process measurement and control specialists. Leverage your own knowledge and experience with their product application expertise to develop an effective solution.